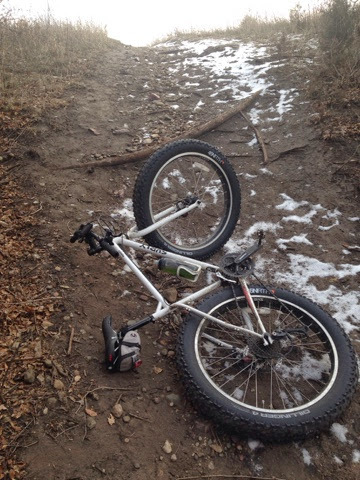 When politicians look hard at riding - surprise changes can come from left field. It sounds like there's a strong possibility of a 2015 run at a 3' passing law in the South Dakota legislature. I've heard it from two independent sources. In November I responded to a Mitchell representative's request for the text of our Sioux Falls 3' Passing ordinances. I think it's fine to have a state level 3' passing law. Many other states have one. If conditions are right I think such a bill deserves rider support. But there's plenty of problems that come with such a push. During the previous attempt to pass such a law the primary sponsor Sandy Jerstad failed to get transportation committee support for the bill. She smoked it out to the floor for a vote. In a failed attempt to get votes, she was willing to make a state law that riders must wear reflective clothing while riding. This fall KDLT ran a story "A Mother's Fight For Justice" announcing a call for legislation named Natasha's Law. This legislation calls for stiffer penalties for drivers that cause bicyclist and pedestrian fatalities. This week people with signs were observed near the place of Natasha's death. Googling Natasha's Law reveals a MoveOn petition and description. It seems ok to have stronger penalties for destroying innocent lives. Many states have passed "Vulnerable Road User" laws. As riders we know all too well that penalties seem pretty weak. I invite a listen to Freakomomic's "The Perfect Crime" to learn that the perfect crime is indeed running over a pedestrian with a car. 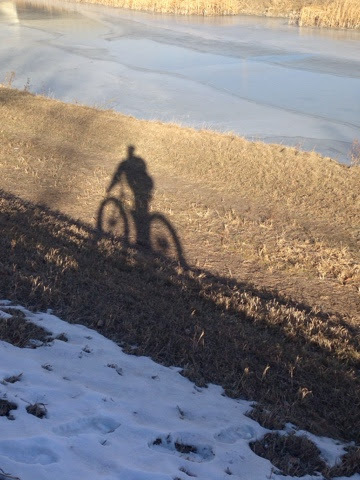 Sounds like some rider diligence will be necessary this winter to be sure our legislators don't play loose with the means while they try to justify an ends. 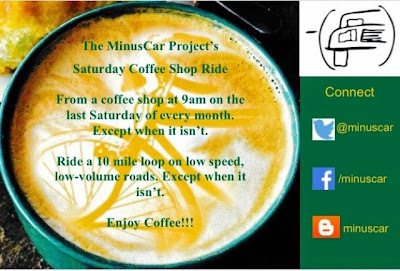 Saturday 12/27 is the first Saturday Coffee Shop Ride. We'll meet at the 26th & Minnesota Ave Kaladis. The planned route is a 10 mile loop through town. 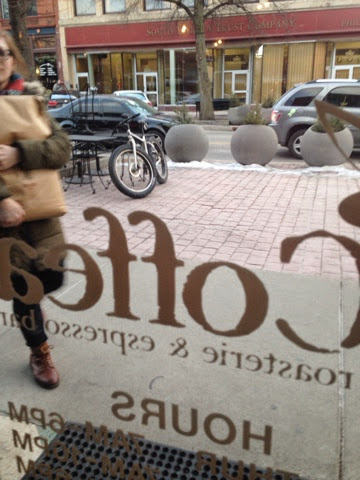 At the completion of the loop we'll step inside the shop and enjoy a nice toasty warm beverage. The route can be shortened if the weather makes it necessary. We'll aim for a minimum distance of 2 miles. 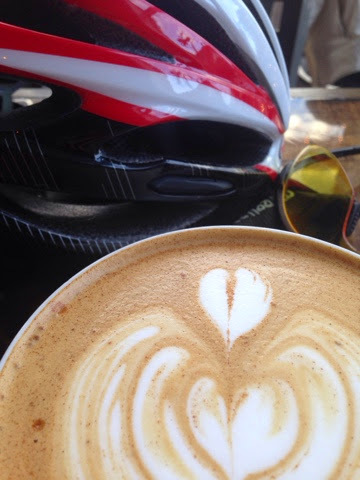 If 10 miles isn't long enough on a Saturday morning riding to the ride is highly encouraged. 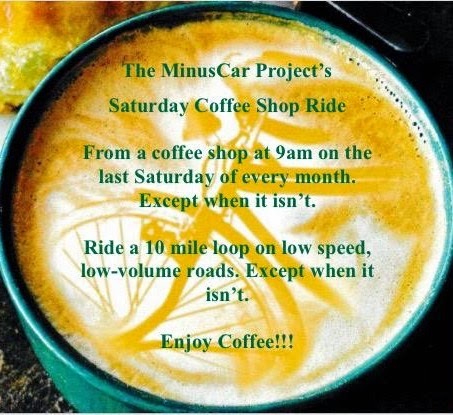 Further details about the Saturday Coffee Shop Rides can be found in this post. We checked the route this afternoon. 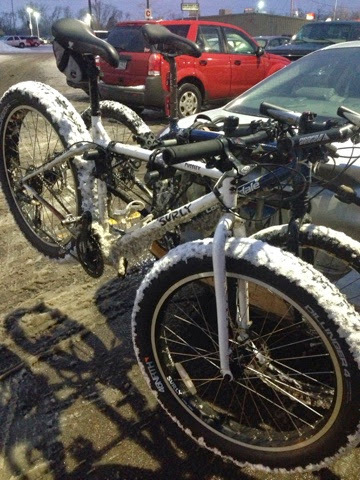 Upon completion we reviewed the list of the 50 different types of road snow and found we could mark more than a dozen as ridden. 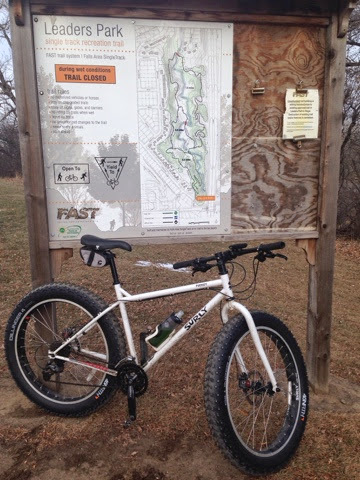 Happiness is a snow covered fatbike. Hope we see you Saturday 12/31. It's Tuesday. People work on Tuesday. I took a recovery day off work. After a four day weekend Monday seemed like plenty of effort. So Tuesday I got on the bike and chased this guy around the city. I made my way to Leaders Park. I did a lap. I may have spent some time on my back. 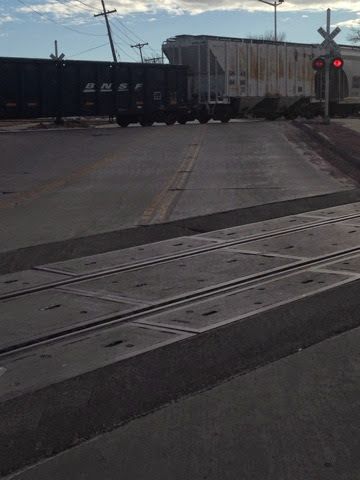 I got stopped coming and going trying to get to the other side of the tracks. 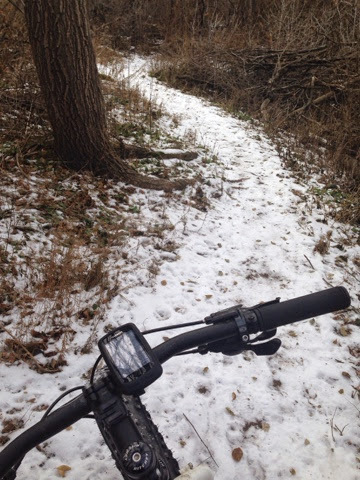 Much of the trail looks like this. 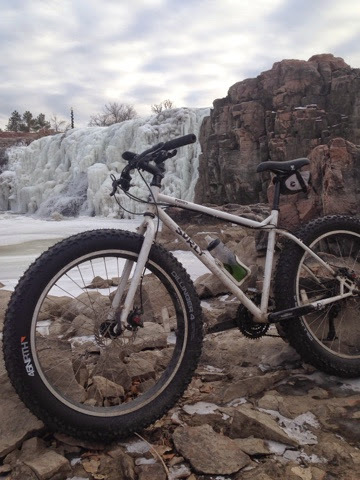 I stopped at the falls. On my way here I greeted my dad on his bike on Phillips Ave. I think I'm ready to face another day at work.